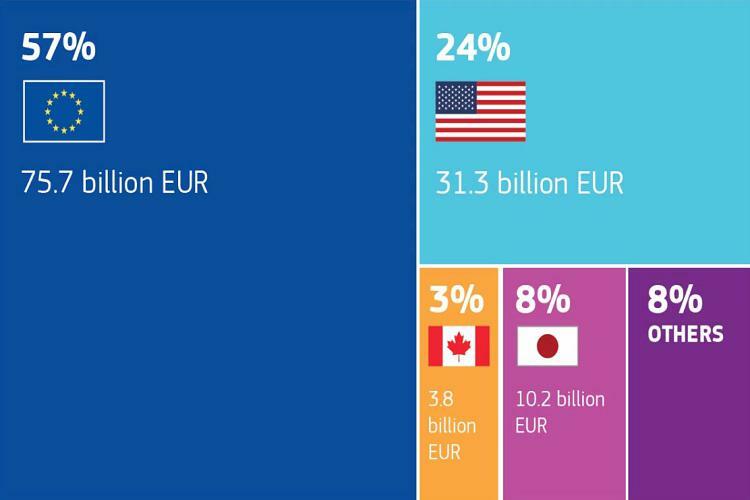 The European Union and its Member States continue to be the world's leading provider of Official Development Assistance (ODA) with an overall amount of €75.7 billion in 2017, as confirmed by the newly released figures by the OECD-DAC. This amount represents 0.50% of EU Gross National Income (GNI) and is significantly above the 0.21% average of the non-EU members of the Development Assistance Committee (DAC), despite a small decrease compared to the previous year. Global ODA decreased from €131 billion in 2016 to €130 billion in 2017. EU collective ODA constituted 57% of global ODA in 2017.